I'm wondering if the best way to build structures is actually just like this example. 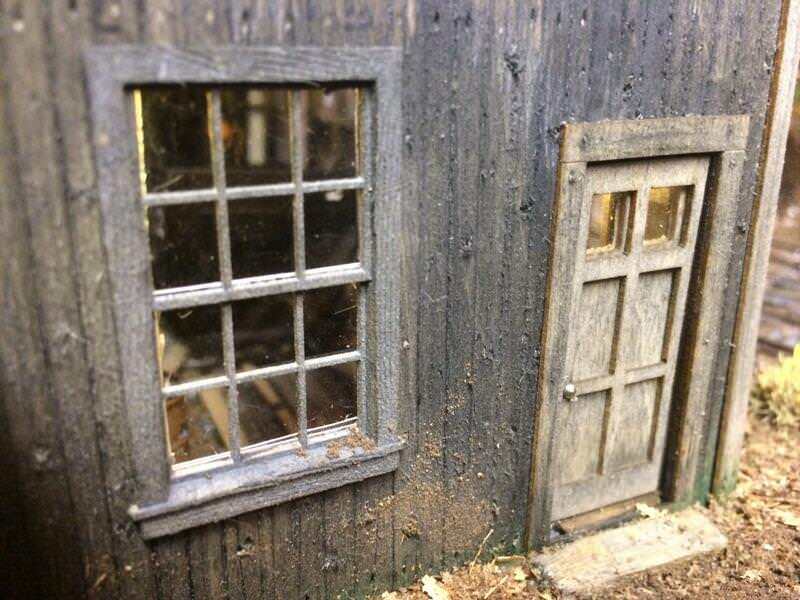 I have a whole bunch of construction ahead of me and I'm trying to decide whether to use proper miniature wooden frames for the buildings. Hi. The reason for this style of construction is that this EH will have a dirt floor in keeping with the very temporary buildings in Rail Camp. I will figure a way to blend it in with the rest of the surroundings. So far, All I can think of is to add the dirt when the stud frame and walls are up but before the roof is placed. As the sun is setting, today's work on the engine House is wrapping up. The boss man wants Smitty to clear the dirt away so they can install the EH doors. Boss man is pretty cheap and never hires enough men for the job. 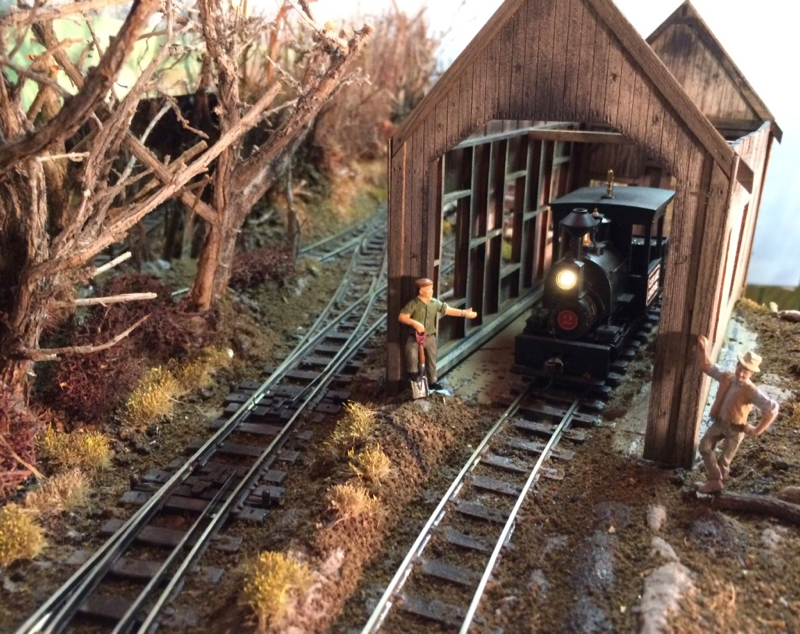 What I like about a �O� scale model railroading is the chance to put in nail holes, splitting wood, and growing mold and rot on wooden structures. Tom, Very nice work. I like On3 for the same reasons. My peepers dig it better also. Yep, my vision is going down the boiler tubes too. 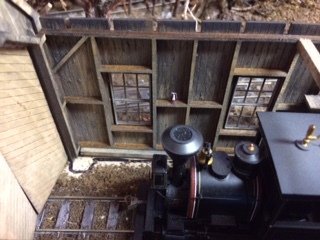 Well, last week Smitty was assigned to dig some dirt so the engine house doors could be hung. Unfortunately, Mr. Smitty went wild with his new �DREMELLO�tool and cut into the electrical wiring in the foam he had forgotten about from last years work. 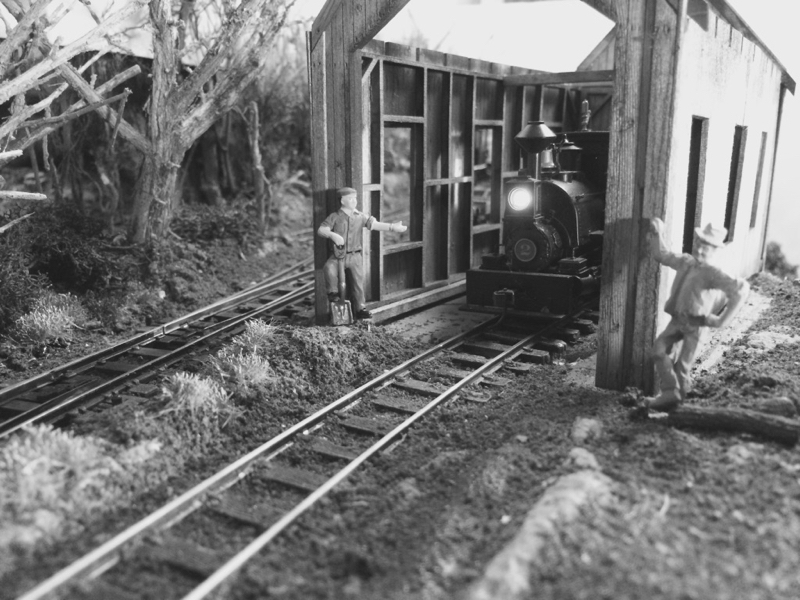 Big Boss Man had to put four guys on the job to dig up the wiring, repair the wiring, replace the dirt and finally hang the engine house doors. 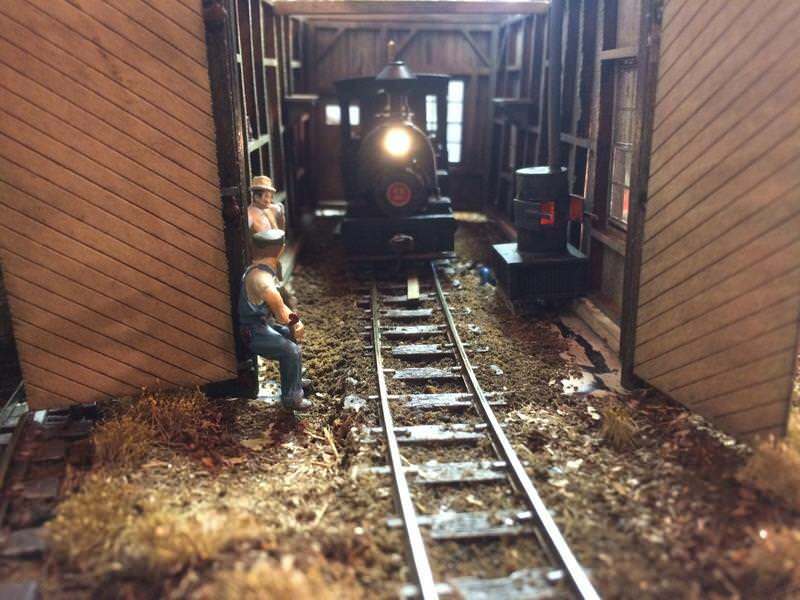 Well, today they saw their work was paid off as the engine house doors swung open revealing a real steam spittin�, fire breathing, Little Porter Lokie ready for a days work����. ���. of moving big timber. 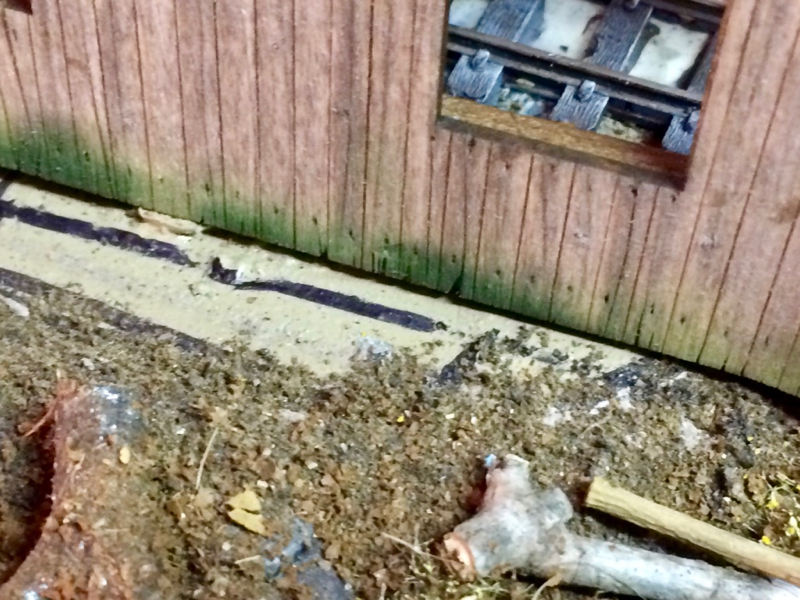 Delaying the roof a bit to get stuff and dirt into the interior. 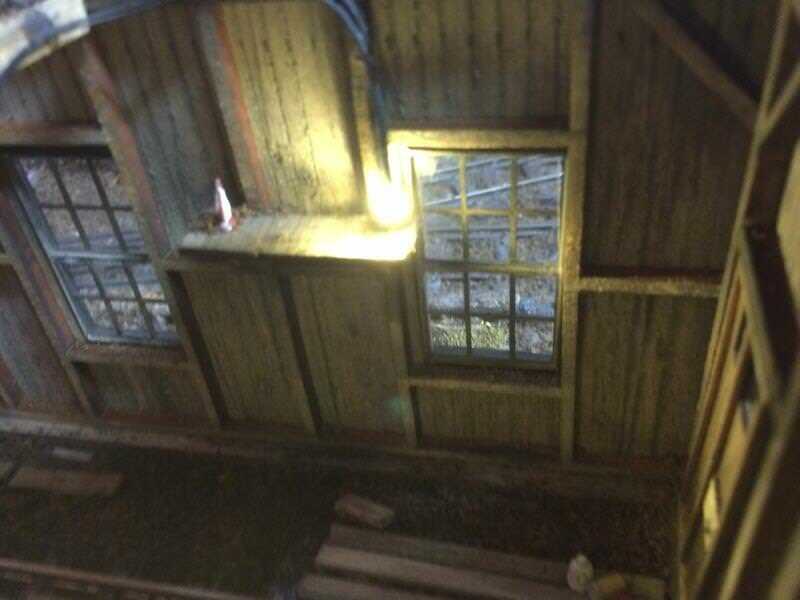 It took a week but Big Boss Man got the boys to hang some windows on the backwoods engine house. I think these are Grandt line castings. They were distressed and weathered. There ws no material for the glazing. So Evergreen products to the rescue. I obtained their clear styrene sheet and carefully cut two windows to fit each frame. 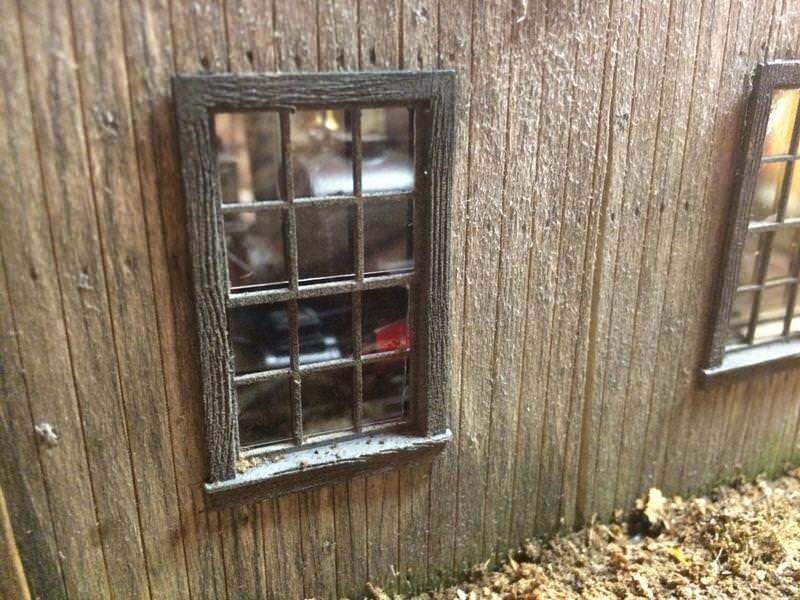 I toyed with leaving them "glassless" but since this is a mini layout set in winter missing window glass would be noticed. 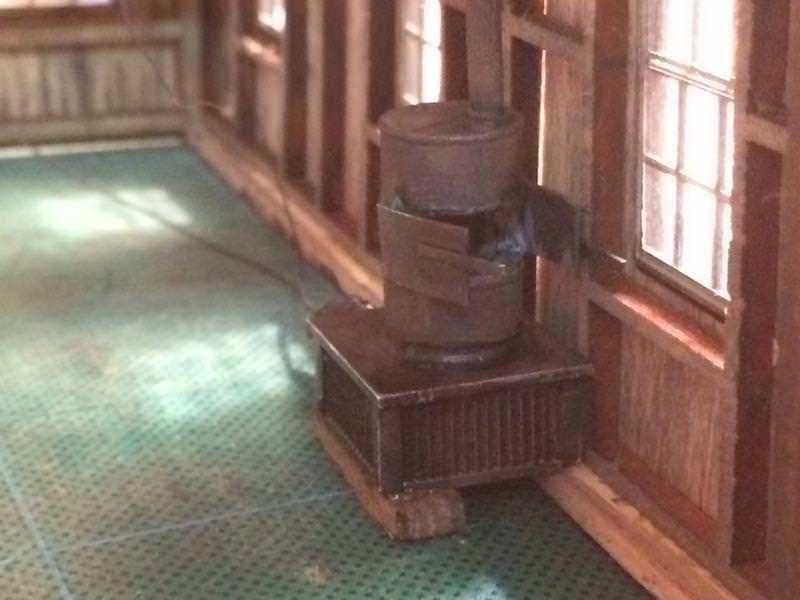 This weeks adventure on the mini logging layout was to build a simple wood burning stove for the engine house. Using an old metalcasting of a 55 gallon drum in �O� scale and bits and pieces of styrene from the scrap box I built up a backwoods stove. The stove pipe is from a piece of shrink tubing. 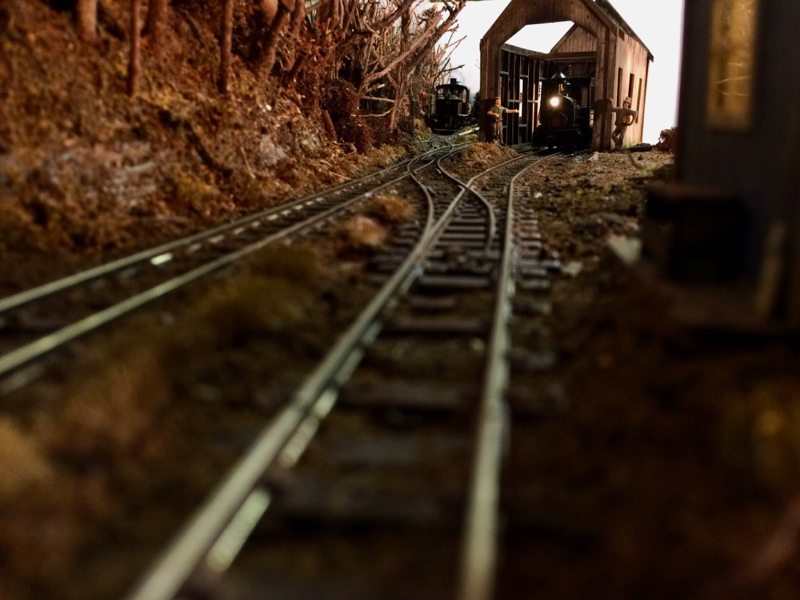 The wood burning stove was positioned to avoid fouling the locomotives and kept a good distance from the wooden walls to avoid burning down the engine house. I purchased a package of micro LEDs wired to look like flickering fire and installed it into the stove. The LEDs provide a nice fire effect that will look good on future videos. 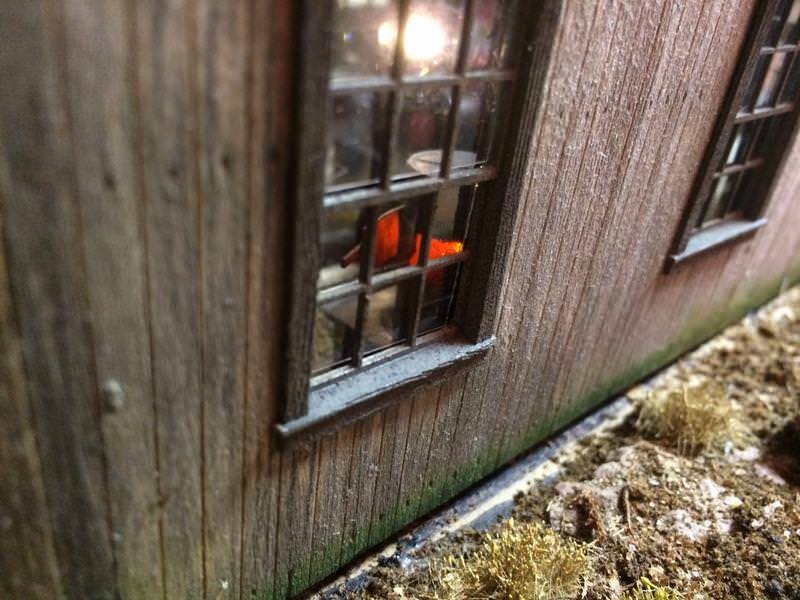 One little trick I tried was to make the open firebox doors visible through one of the windows on the outside. To complete the scene there will be good ole boys sittin� back in chairs keeping warm and feeding the fire. The fire looks great Tom! Thanks Mike. This was a fun little project. 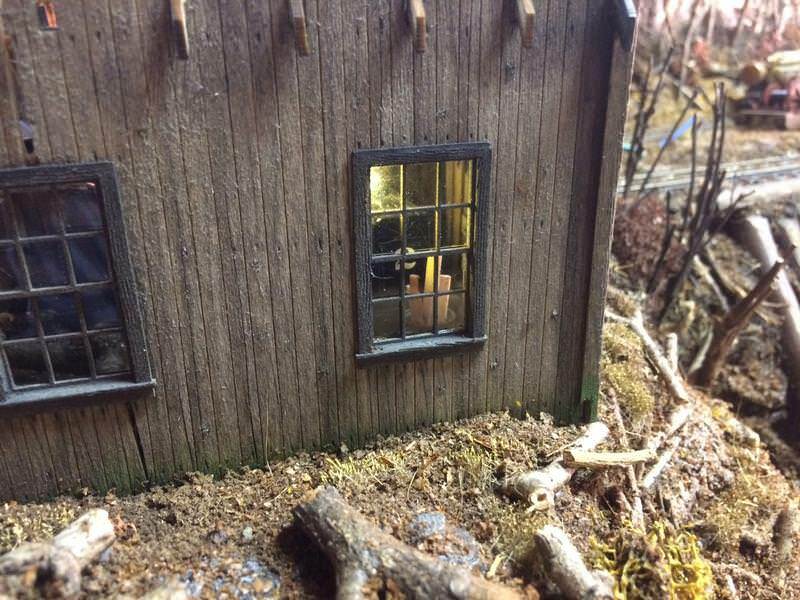 This week I put in some kerosene lanterns in the 1910 backwoods engine house. They are flickering LEDS mounted to a round bottom fuel bowl from the spare parts bin. I mounted them on shelving above the height of the engines. 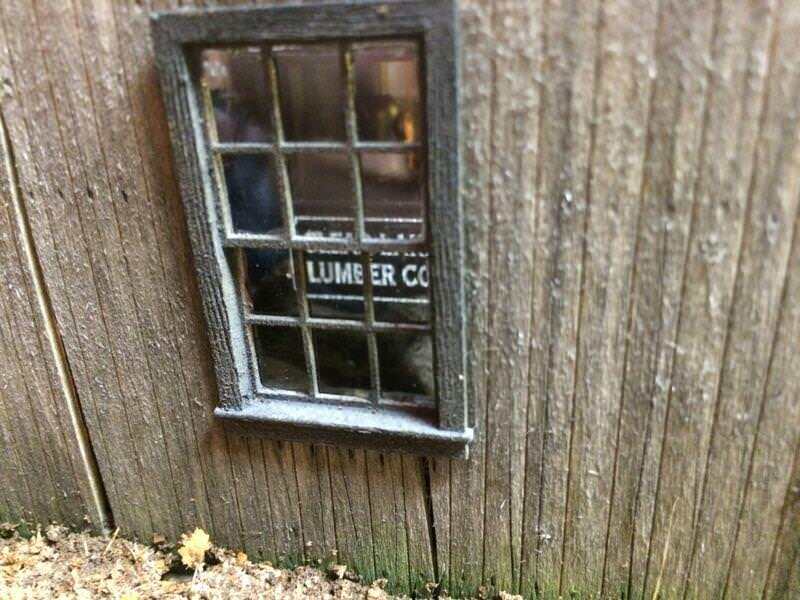 This gives overall illumination and allows for peaks inside the engine house.